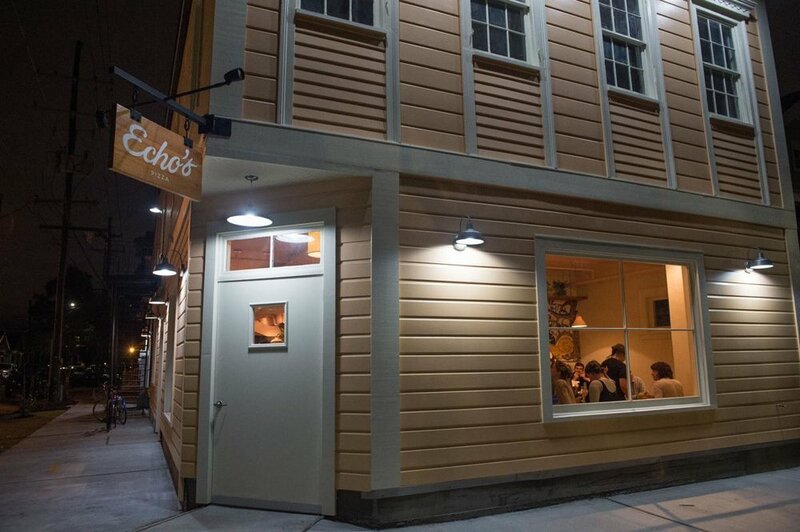 Echo’s is a cozy neighborhood restaurant in Mid-City serving up wood-fired bagels in the morning & wood-fired pizzas at night. Our bar features regionally distilled spirits, fun wines, and local beers. Come on by for a loaf of fresh bread, a drink in our lovely courtyard, or of course, a pizza pie! CATCH US AT THE CRESCENT CITY FARMERS MARKET! This is a sampling of our offerings. Menu changes frequently. Left Hand Brewing Co (7%). 36 hours notice required for some items. Please email hello@echospizza.com or call (504) 267-3231 for more information. 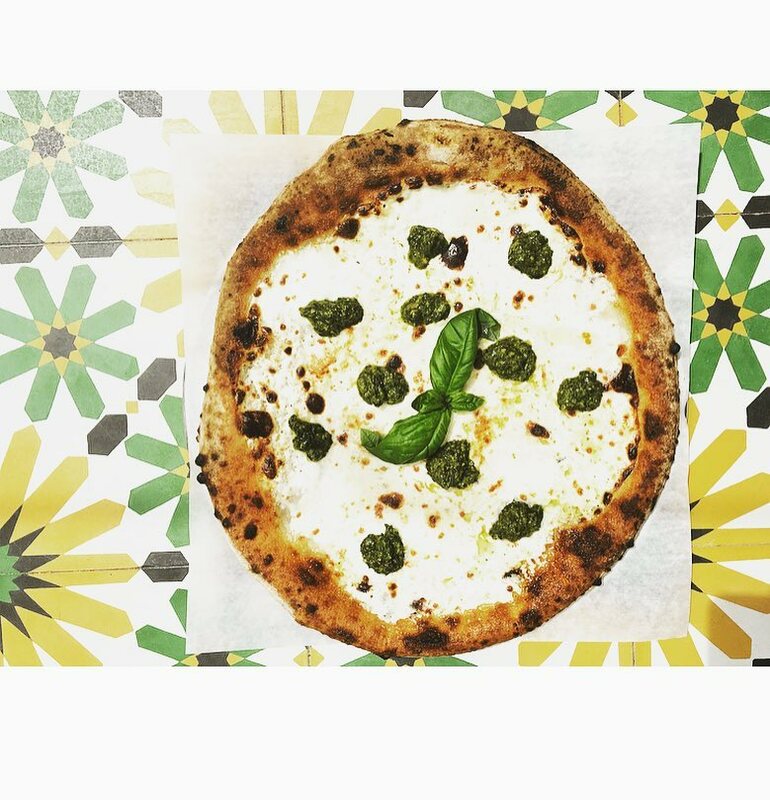 Echo’s shows how a great pizzeria can really be a bakery with a particular focus. The wood-fire oven turns out wonderful, one-sized, bubble pocked pies with crust that’s the equal of the artisan loaves also produced within it.